Hey everyone! I'm back for another day of digital dozen book week, and today I'm doing Alice in Wonderland. I couldn't go a whole week without at least ONE reference to my name after all. I chose a mix of other peoples ideas and making things up as inspiration for these nails, as you shall see, rather than using a book cover as with all the other designs. On the thumb I did a the cheshire cat using OPI - Chic from Ears to Tail, and then I used striping tape and an unnamed purple polish from a set for the stripes, the mouth was done using acrylic paint. The checkers board remains from yesterday on a base of Jacava - Mont Blanc* which is a gorgeous white which only takes 2 coats for opacity, I used this on my ring finger too. My middle finger is Essie - Borrowed and Blue and acrylic paint. The outline on the ring finger is Essie - Beyond Cozy and the numerals are acrylic paint. My little finger is China Glaze - Kinetic Candy with MASH - Black Nail Varnish* over it using striping tape. The tag is done using acrylic paint. And they're all topped off with a coat of Seche Vite. OMG YES!!! i love alice in wonderland, this is amazing! Qué chulas!!! la sonrisa del gato de Chesire me encanta! Alice's Adventures in Wonderland is my all-time favorite book! 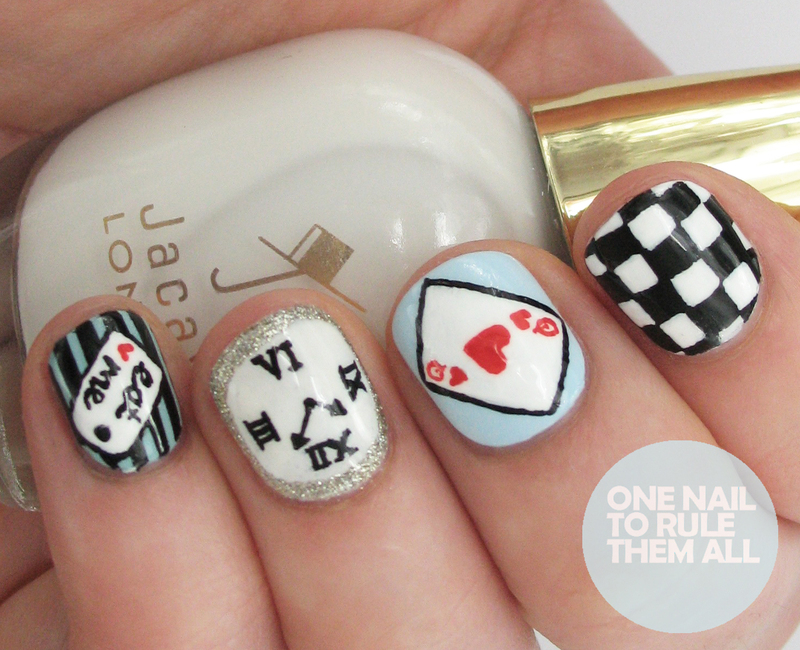 I've done Alice inspired manicures but nothing this adorable. 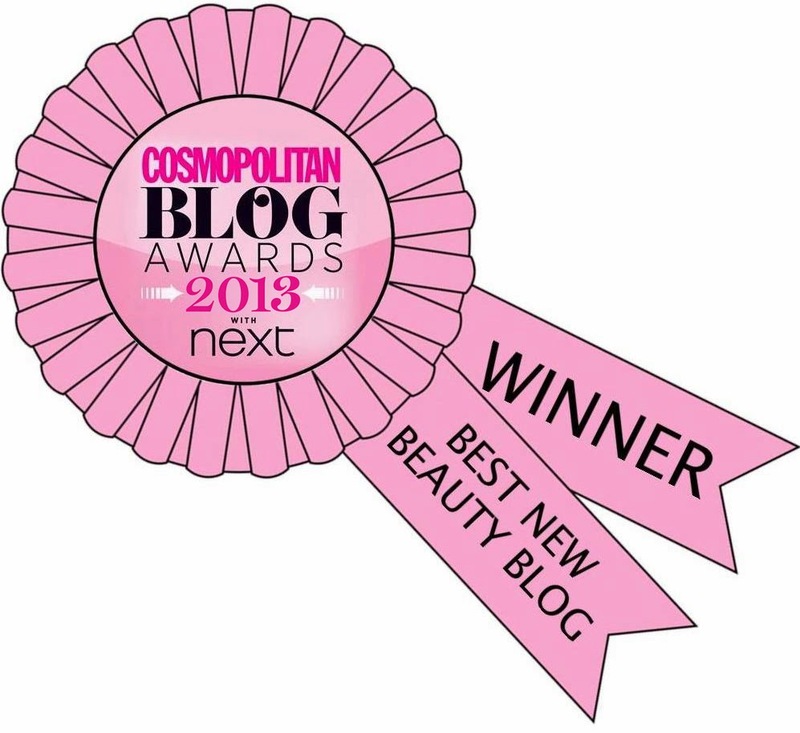 Very very pretty! Great job! Unreal. I love it!!! Fantastic work. these are so fabulous! I'm obsessed! This is a beautiful design. 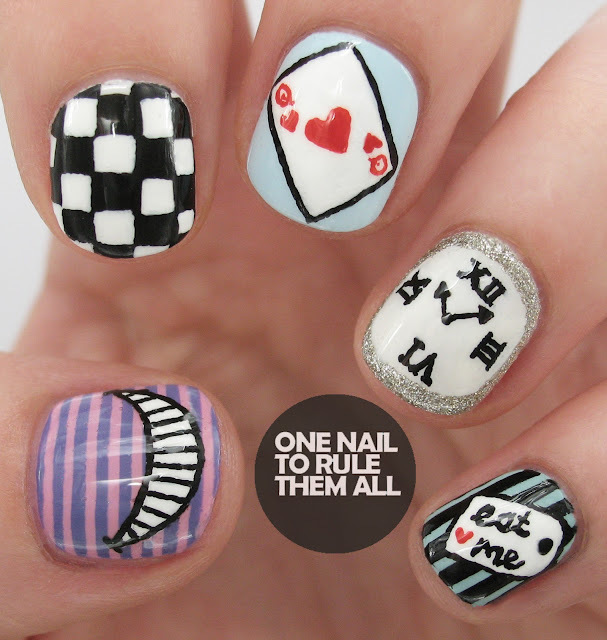 I think I like the tiny playing card to most, or the cheshire cat, or the eat me tag lol! Alice - I have loved all of your digital dozen book week designs this week.... seriously - best digital dozen or any group theme weeks ever! Well done girl! Of all the nail blogs I follow (& there are a few) yours are consistently the best by a country mile! Really cute! Love this book and my name is Alice too so I also love it! MissJenFabulous copied this without giving credit!